The first five years of a tree’s life are critical for the tree’s long term survival. It’s important for homeowners to learn what type of tree care maintenance is needed for young trees because it can differ from the type of care an older tree needs. 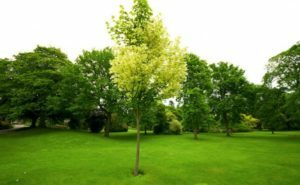 Just like a toddler has different needs than a teenager, young trees have different needs than mature trees and tend to require a little bit more tlc. 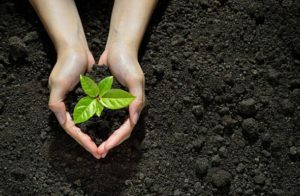 Within the first few years of life, trees are working to establish an efficient root system that will support them for the rest of their life. During this time they have a harder time absorbing nutrients and water than mature trees do. 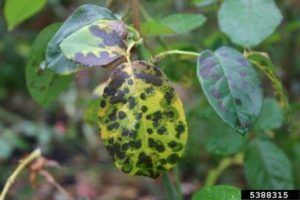 Young trees are also more susceptible to insects & diseases, and can have a harder time recovering from damage (drought damage, bark damage,etc.). Root Issues: Shallow roots, Girdled roots, etc. Structural issues: Co-dominant stems, clustered branches, leaning trucks, etc. What Can I Do To Help My Young Tree Thrive? Because a young tree is still establishing its root system it has a harder time absorbing the nutrients it needs to thrive. Bio-stimulants combat this in two ways. First it provides an abundance of nutrients that the young tree doesn’t have to work hard to absorb, and second the type of nutrients it provides stimulates the root system to allow it to develop faster and become stronger. The young and not yet established root system can also cause issues when it comes to absorbing water. During droughts and hot summer days, older mature trees can rely on large root systems that have deeper roots to pull water from the ground. Because a new tree’s root system isn’t fully established its roots tend to be more shallow which doesn’t allow them to tap into water being held deeper in the soil. This causes them to be affected more by droughts and hot days. To combat this, you should water your young trees on a regular basis. You’ll want to water them deeply rather than frequently, as shallow frequent watering will encourage the young tree’s roots to grow closer to the surface, which can cause health problems later on. 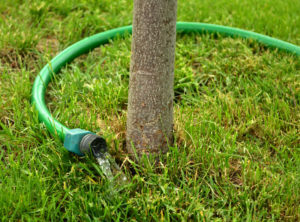 Our arborists recommend deeply watering once a week in normal conditions and twice a week during times of drought. You can deeply water your tree by following the steps below. Although its best for trees of all ages to be mulched, young trees can especially benefit from this simple aspect of tree maintenance. As we mentioned above, the newly established root system of young trees have trouble absorbing the amount of nutrients and water they need to survive. 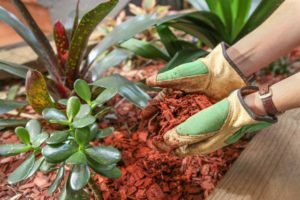 Mulching can help with this because it fertilizes the soil and holds in moisture, giving time for the tree to absorb these essential resources. Mulching also reduces the competition from weeds and other plants, making sure the new tree doesn’t have to share what nutrients are available. Most structural defects that appear in mature trees can be prevented by proper structural pruning when the tree is young. This can save you a lot in future tree care costs as well as make your tree safer and more structurally sound. For example when a tree is young you can identify co-dominant stems/v-crotches when they begin to emerge and prune one of them back so there is a single dominate stem. Once a tree is older the co-dominant stem will most likely be too big to remove. Co-dominate/V-crotches can be a major structural issue when the tree is older. By pruning this out while the tree is young you are creating a safer tree in the future and saving on future maintenance. 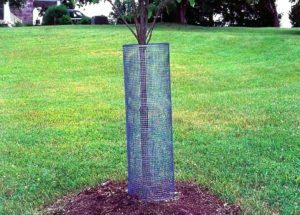 Wire fencing and plastic tree guards can protect young trees from being damaged by humans and animals. Two common types of damage that occur to young trees are from deer and lawn mowers. Lawnmower damage typically occurs because it is difficult to maneuver a lawnmower around a small tree trunk. A combination of mulching a plastic tree guards can help prevent this type of damage. Deer, bucks in particular, are also a huge issue for young trees. In the fall the velvet that covers the antlers of bucks are shed. During this process the antlers become itchy and bucks search out things to rub their antlers against to remove the shedding velvet. The trunks of young trees are the perfect size to fit between a deer’s antlers which makes them targets for bucks in the fall. You can however protect your young trees by using wire fencing. 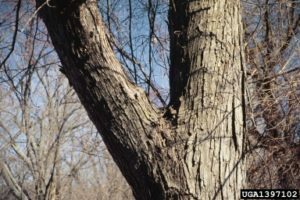 Since young trees are fragile and still establishing their root system, they are less likely to survive disease, fungal infections, or attacks from insects. Because of this, it is important to identify common illnesses and protect your young trees against them through preventative treatments. Since many diseases and pests are species-specific you should contact an arborist to identify the species of your young tree and evaluate which diseases & insects pose the most risk to it. If you need help with young tree care schedule a consultation with one of our arborists by calling us at 703.573.3029 or scheduling an appointment through our online booking system.